Angelina Jolie is set to play the nymphomaniac Catherine the Great in a new drama about the Russian empress’s scandalous love life. The Oscar-winner has bought the rights to British historian Simon Sebag Montefiore’s bestselling book about Catherine’s ‘secret’ and very open marriage to the flamboyant and ambitious Grigory Potemkin. The character is something of a dream come true for Jolie, who has made no secret of her quest for meaty female roles. She played Queen Olympias in Oliver Stone’s 2004 Alexander The Great biopic and the title role in last year’s Maleficent – and has been on the lookout for another regal role ever since. Sebag Montefiore said: ‘I am thrilled that Angelina has optioned the book because it was my first book and it was very much a labour of love. His book, CATHERINE THE GREAT AND POTEMKIN: THE IMPERIAL LOVE AFFAIR, was published in 2000 and drew on 5,000 previously unpublished love letters between the pair. 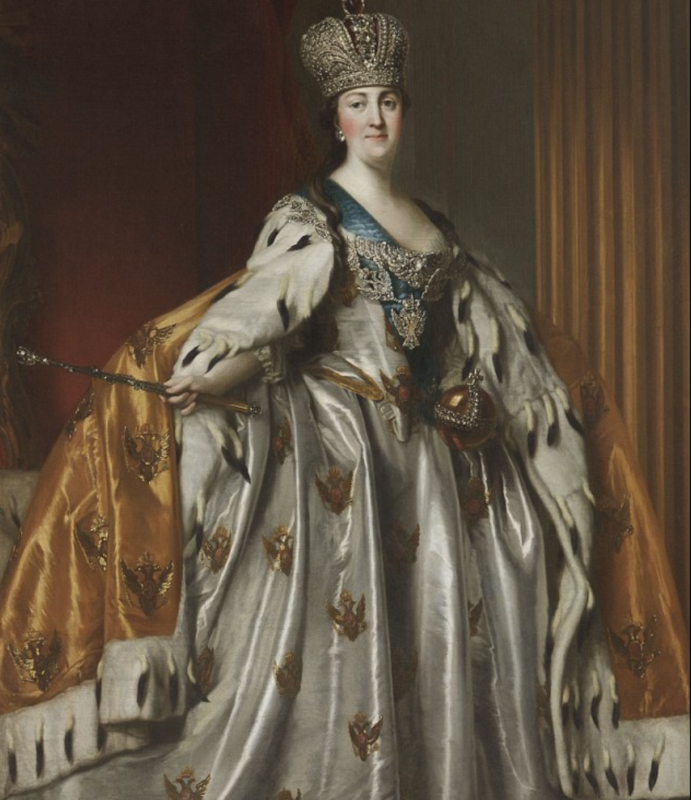 Catherine ascended the Russian throne in 1762 following a coup in which her husband, Tsar Peter III, was murdered. Potemkin was one of the conspirators and Catherine’s enemies always claimed she was involved in the Tsar’s death. The Empress – whose 27-year reign is regarded as a golden era in Russian history – was also a sexually liberated woman who embarked on affairs with countless men. Her enemies used her sexual conquests against her and branded her a nymphomaniac. But the highly educated Catherine was particularly infatuated with Potemkin, with whom she enjoyed secret trysts in the sauna of St Petersburg’s Winter Palace. The couple, who were alleged to have married in secret, became co-rulers of the Russian Empire. 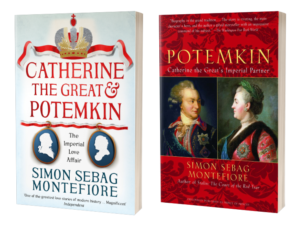 Sebag Montefiore said: ‘Catherine and Potemkin had history’s greatest love affair. They were both brilliant people who were totally equal and totally balanced. He added that Potemkin ‘was a wild character who ruled like a sultan. He travelled with gardens which were planted every night by thousands of serfs’. How much Jolie’s production company paid for the rights is being kept a commercial secret, but one source described it as a ‘high five-figure sum’. Jolie was first linked to the role of Catherine the Great in a separate movie mooted more than a decade ago, but that never materialised. And although the actress is being linked to the role in this new production, it is also possible that she might prefer to remain behind the camera as producer. She has already directed two films, including last year’s Unbroken, and she has made no secret of the fact that she is considering giving up acting. It is also unclear whether this adaptation would be for TV or film. If Jolie does take on the role, she will be following in the footsteps of Marlene Dietrich, Bette Davis, Tallulah Bankhead, Catherine Deneuve and Catherine Zeta-Jones, who have all played the Empress in the past. Bea Hemming, editorial director of Weidenfeld & Nicolson which published Sebag Montefiore’s book, said: ‘We’re delighted at the news that this magnificent biography has been optioned.